How was Angels and Demons? @Lakshmi: Actually, I thought the movie was far better than the Da Vinci Code (only comparing movies here). Fast paced. 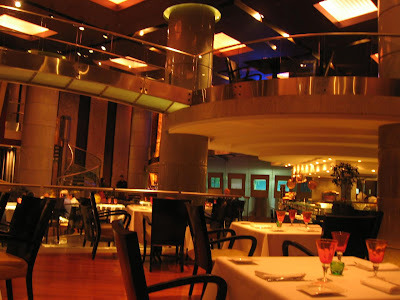 Sooner my offcie is shifting in Andheri, so I will be able to all restaurants mentioned in your blog near Sahar Airport. It has been ages since I had scallops or artichokes. 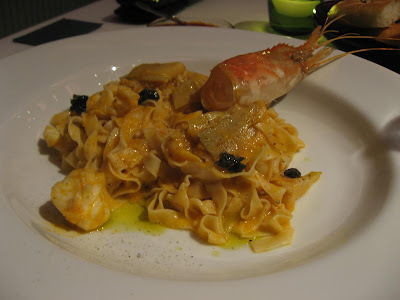 That tagliatelle looks yummy. It is my favorite type of pasta but I am yet to eat a good one outside of Italy. I agree, A&D was much better made than Da Vinci code....plus it took us down the memory lane. BTW, I will be in Delhi a lot in December. Can you recommend some restaurants (Connaught Place and around that). Any cuisine is fine, but I miss Italian and Thai in India. @Harekrishnaji: Ha, ha! I am sure the Courtyard will miss you if you move to Mumbai! Maybe you can ask them to transfer the discount to their Juhu Marriott. @Vamsee: Oh yes, there is an excellent Thai restaurant called the Spice Route in the Imperial Hotel near Connaught Place. I reviewed it in March. 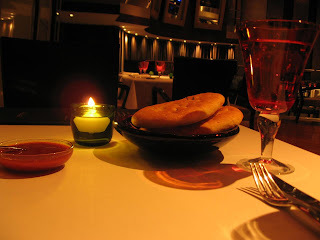 Click on 'Delhi Delights' on the Categories section on the left side bar of my blog for a complete list of reviews. Shantanu, you are the best. I just checked out your Delhi reviews and I will be sure to try some of those - the Thai one for sure. Looks and sounds like a good plays and of course I will comment on the signature dish: As a Norwegian, I love seafood - looks delicious! @Vamsee: Glad to be of help. Let me know how you like the food at Spice Route. 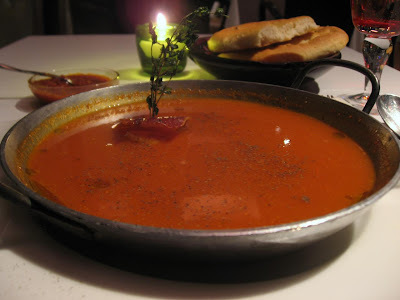 @Harekrishnaji: I am constantly confused about where you live given how often you eat in Pune! @Renny: Thanks for visiting, my friend. Oh. I am from Mumbai, stay and work in Mumbai. In Unilever. My son is studying in Fergussion. I come to Pune every Friday evening and then every saturday we go out for food, mainly to Dinning Halls like Asha or Shreyas or Krishna or Duvankur for Bhojan or to Vaishali or to the places mentioned in yor blog.